The incised letter "L" you see on the cartouche above the front porch stand for "Lohmar"--original owner John Lohmar, a German merchant and milliner who owned and operated a dry goods store on Washington Avenue North. Lohmar sold furnishings, fabrics, and other household items. Contractor/builder Peter Jeub created this three-story home for Lohmar during the later phase of the Queen Anne Style in 1898, and Lohmar's daughter lived here until 1971. 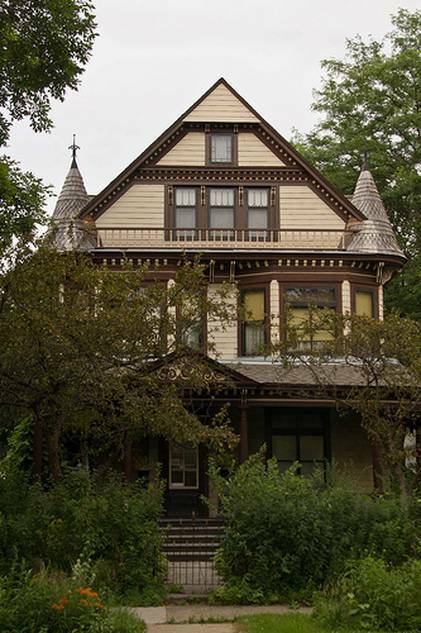 That year, historical architect Charlie Nelson and his wife Angie purchased the home. Charlie and Angie have long been champions of the Old Highland neighborhood, buying and restoring a number of local properties. Current owners have retained many features of the ample lot's turn-of-the-century landscaping, such as hedges, perennial and fern beds, and separated front and rear lawns. Since 1971, the home has undergone an extensive program of restoration/preservation and has been returned to near turn-of-the-century condition, with the addition of a new carriage house on the alley designed by Charlie to match the design of the house. The interior of the residence has survived intact with the only alterations being the introduction of hot-water heating and electricity in 1910, and the addition of linoleum floor covering in the kitchen and bathroom. The exterior remains largely original, with the exception of the asbestos siding put on in the 1920s. This type of siding was commonly sold door-to-door, and was marketed as the "maintenance-free" siding of its day. This home is listed on the National Register of Historic Places as an example of an ornate Queen Anne for exterior and interior design. The house exemplifies many typical Queen Anne design features; for example, the front wrap-around and rear Doric colonnaded porches. The front porch is embellished by a knob-and-spindle balustrade, bracketed and dentilated cornice, and pedimented gable with low relief scrolls and cartouche bearing the incised letter "L" (for the original owner John Lohmar). A lattice-work grille occupies the space between the deck and foundation. The rear porch, although simpler, bears similar bracket and dentil treatment, and Doric columns. The principal (west) façade is basically symmetrical, with the exception of the offset entry. The second story is divided into two three-part bay windows, the central sections of which are fixed-pane with stained-glass transoms. Above these is the principal cornice, decorated with both large and small brackets and dentils. The third story has a secondary bracketed cornice, central three-part window, spindle-work balustrade, and twin conical spires crowned with wrought iron finials. The exterior has undergone only two alterations since construction. 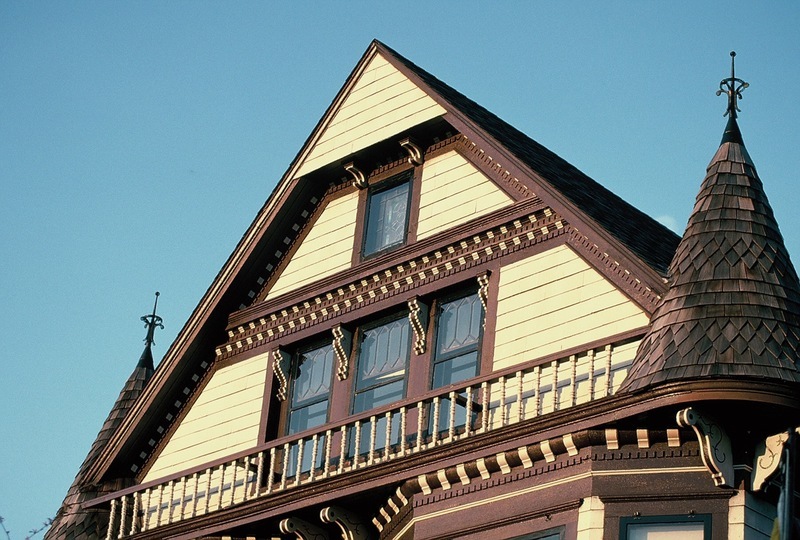 The original cut-cedar shingle roofing has been replaced with asphalt composition shingle roofing, and the original clapboard siding was sheathed with asbestos-type shingles early in the twentieth century. 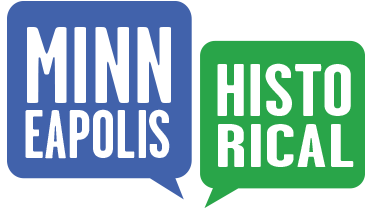 Old Highland Neighborhood Association, “1514 Dupont Avenue North: John Lohmar House,” Minneapolis Historical, accessed April 22, 2019, http://minneapolishistorical.org/items/show/20.